A Montgomery Count Circuit Court judge has allowed a class action lawsuit filed against Montgomery County, Chevy Chase Village, and Gaithersburg on behalf of the recipients of hundreds of thousands of tickets issued by speed cameras in those locations. A Maryland Attorney, Timothy Leahy, filed the lawsuit in May 2008 after receiving a speed camera citation and learning about the county's per-ticket contract with ACS State and Local Solutions which violates a prohibition in state law against such arrangements. Attorney William Askinazi, who is representing Mr Leahy and the other plaintiffs in this case, is a former Maryland Assistant Secretary of State for the Department of Business and Economic Development, and was a candidate for Maryland State Senate in 2006. If successful, the lawsuit could force some or all of the tickets issued under the illegal contract to be refunded. More importantly, it would set a precedent that will decide whether or not local governments can freely violate the law in order to maximize ticket revenue. This lawsuit was considered significant enough that it was mentioned in the "fiscal impact statement" for the 2009 bills which are being discussed by the Maryland legislature to authorize speed cameras on almost every road in the state, stating that "Current law prohibits a contractor's fee from being contingent on the number of citations issued". The county has been gradually renegotiating their contract since this illegal arrangement was exposed in March 2008 -- because of pressure from this lawsuit and public pressure from angry citizens and drivers' groups. 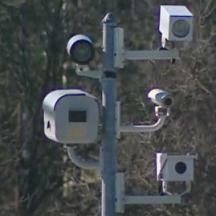 However Montgomery County still allowed many new cameras to be installed under the old contract arrangement, including some in Takoma Park which joined the existing per-ticket contract over 4 months after the County Executive publicly stated his intention to renegotiate the contract, under terms which included an apparent ticket quota for the contractor. Chevy Chase Village recently announced that starting March 12, 2009 it will instead pay a $148000/month flat fee for its four cameras, under condition that the cameras be upgraded to newer technology which can issue more tickets, and the payment amount will still be adjusted periodically if ticket volumes change. Addendum: despite making multiple specific promises to renegotiated their contract to no longer use a per-ticket bounty ( in May 2008, August 2008, and in a 2008 letter to AAA Mid Atlantic ), Montgomery County instead quietly renewed their per-ticket contract in early 2009 for another 2 years. The editors of this website believe the county has done this simply to make more money.